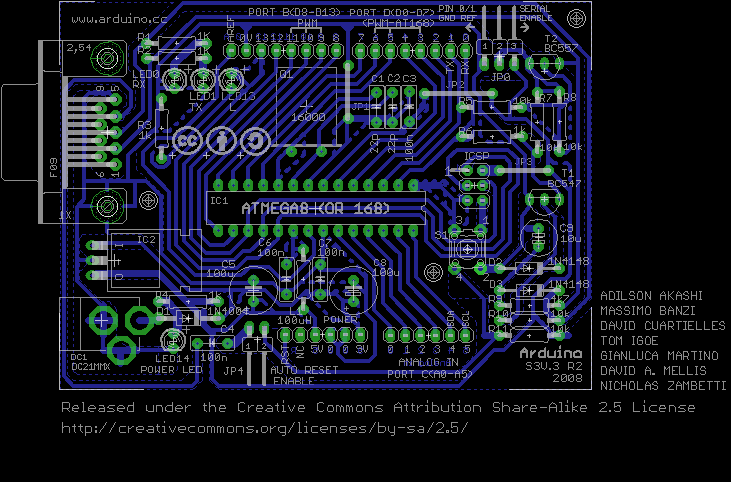 I know everybody heard about Arduino and how easy is to build, but lately most of the boards have SMD components which are a little more complicated to solder than the through hole ones.And when a lot of the big companies start to sell the board is like is loosing its original credo. So I decided to see how easy is to make an Arduino for myself. I will buy the parts and the board undrilled. My only dirty secret is that I own a CNC machine that allows me to cut the PCB boards , but the boards could be made through other procedures that require less equipment like the transfer method. because I can , I will use the CNC machine. So downloaded the Eagle files . This script is used to generate the g code for the CNC machine. You have to register to the group to be able to download the script. Just I case I attached the g code. Since Digikey is the closest to me as physical location I ordered the parts from there . Here is the G code file that is going to be fed to the CNC mill.It is a text file with commands for the machine.